About six months ago, we were trying to figure out what was going to be for dinner, but I was feeling uninspired. Maybe that isn't something that I should admit on this blog, but it happens to the best of us. Days can get long and balancing everything from work to home to cleaning to homework to dishes to birthdays to dinner to after school activities to....well, I could go on. I imagine a few people reading can relate. This one particular evening, I knew that we were going to have chicken, but wasn't sure how to make it. I just started melting butter and while shaving some garlic, I was trying to think of what else should go with the chicken, I realized that I had browned the butter without even planning that. Very happy that that happened because it came to me that would be a great way to add a different layer of flavor and that became dinner. 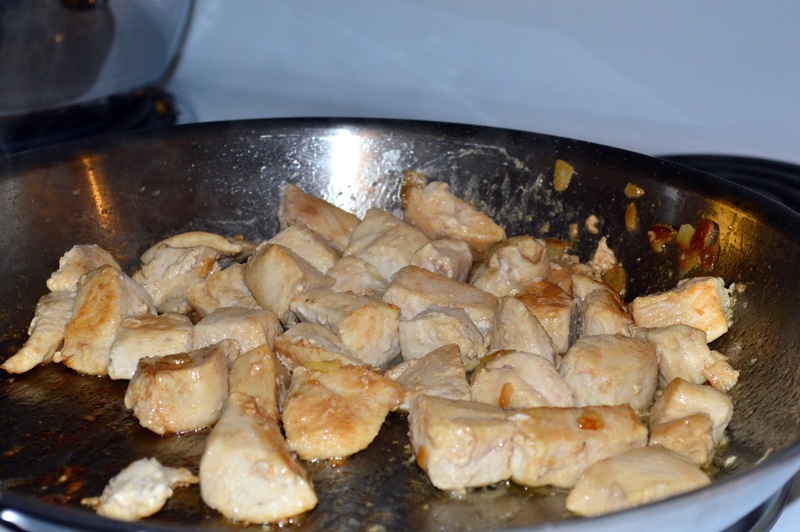 Just added the garlic shavings after that and the chicken breasts after that and dinner was served. 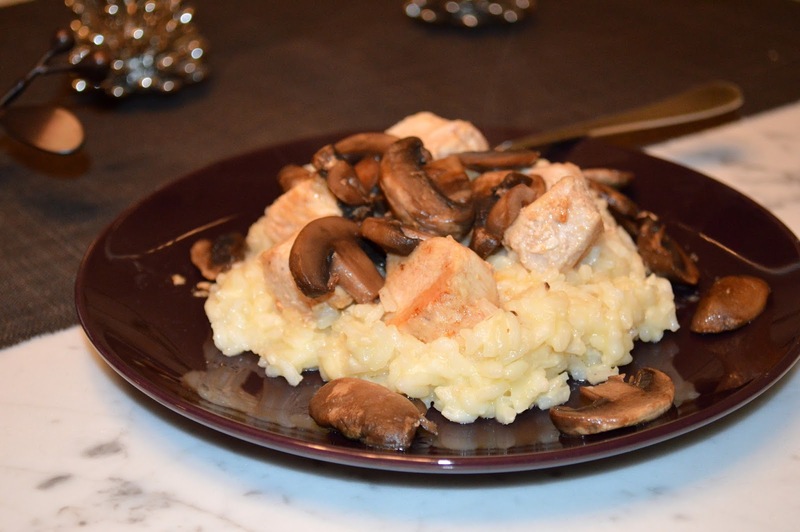 Over the months, we have done different adaptations with cubed chicken and as you can see, adding sauteed mushrooms. 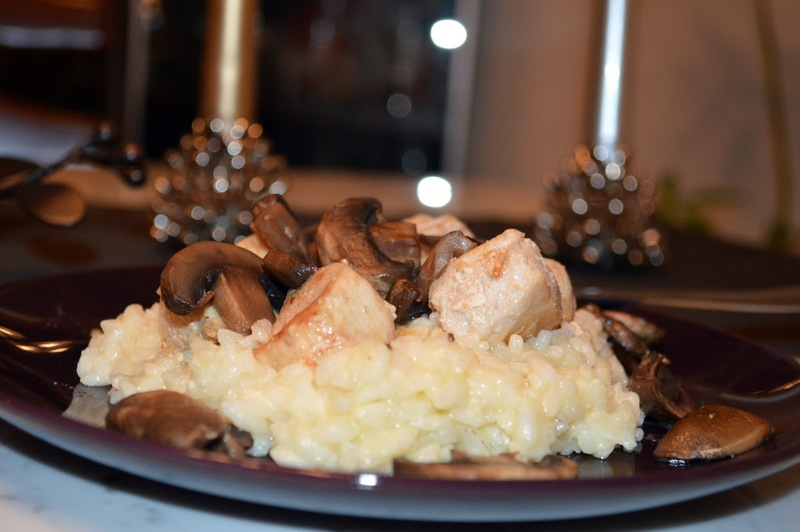 This is one of the #1 kid approved recipes in our house. Especially when served with Risotto and a side of ranch dressing. Melt butter in a large skillet over medium heat. Let butter cook until it gets a nice browned color. Add garlic and cook for 30 seconds. Then add the chicken. Depending on whether you whole breasts or cubed, cook accordingly. 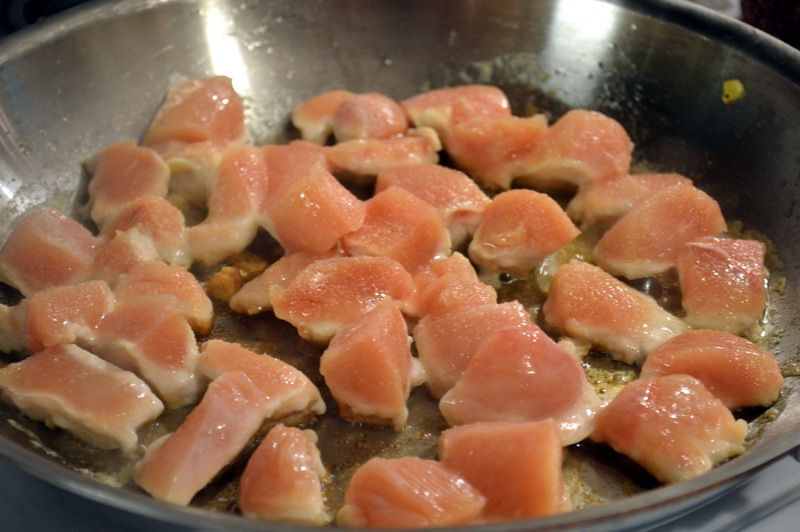 Typically around 6-7 minutes per side for full breasts and around 10 minutes for cubed, turning often to cook thoroughly on all sides. Serve with rice, mashed potatoes, risotto, veggies, or just about anything. **Recipe 100% from my kitchen.